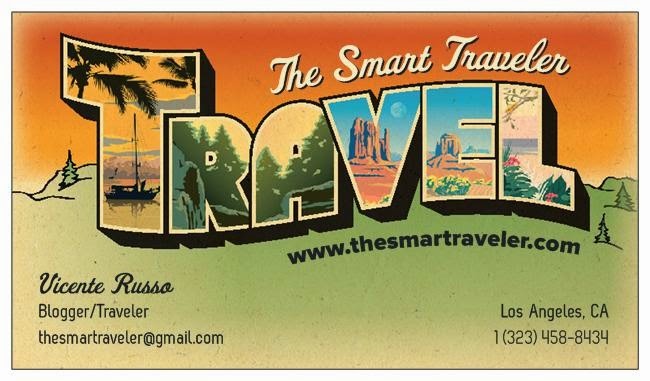 The Smart Traveler: A Magical Destination: Zion! 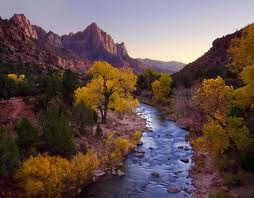 I've traveled quite a bit in my lifetime but one place have impressed me more than any other place I visited and it's called Zion National Park, in south Utah. After a short drive from Las Vegas (3 hours max), you will arrive in Springdale, a city with 500 habitants that live and breath Zion. Hotels and B&Bs for all tastes and budgets await for you. The park entrance is at the end of Springdale's main street. You park your car by the visitor center and I recommend that you talk with one of the rangers about the weather and conditions of the paths before start your adventure. Buses will take you to different stops close to the trails' entrances. The best trails in Zion are: Angel's Landing & The Narrows. Both are considered strenuous and dangerous if you don't prepare in advance for the trip, but if you do, this is a treat that you will never forget. Zion Narrows is the hike of a lifetime for many hikers. At times the path involves swimming and although once in a while there is a break from river hiking, most of the trail is in the river. The soaring walls of the narrows and mystical lighting make it a magical hike. 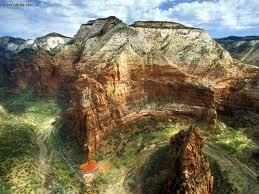 Angel’s Landing (picture) if you have done your research, you know this hike is not for anyone with a fear of heights. You probably also know that it is one of the most unique and thrilling hiking trails in the national park service—the trail to the top takes you along the narrow spine of a geological fin, complete with chains to help you reach the summit of this highly exposed rock formation. The clincher for most hikers is the last half-mile to the top, where you must climb along the narrow ridge that has dizzying drop-offs on both sides—nearly a 1,200 foot drop on one side, and over 800 feet down on the other. When you reach the top, stunning valley views and canyon vistas spread out as far as the eye can see—a spectacular award for those who brave the climb. Something you will never forget! Salt Lake-based travel writer Christine Balaz recently released a new iPhone application called Zion at Your Fingertips. The $1.99 app is a mini-guide that focuses on Zion National Park and its surroundings, detailing everything from hikes to skydiving, bike rentals to community theater. Magical in a understatement for Zion. Indescribable is a perfect word for this National Park, it's something that you have to experience at least once in your life, even if your idea of traveling is visiting big cities or cruising, I guarantee you are in for an amazing surprise!